A recent Marist Poll found a tight Senate race has emerged between Ted Cruz and Beto O’Rourke. When registered voters were asked who they support, “If November’s election for U.S. Senate in Texas were held today,” 49% said Cruz, 45% said Beto, while an additional 6% were undecided. This certainly makes the race one to keep an eye on, as the last Senate seat filled by a Texas Democrat was in the year 1993. The poll took place between August 12-16. The timing here is crucial. This places the latest register of Texan opinions after Beto’s backing of NFL kneelers, but before it went viral. It is therefore likely unaccounted for in this latest poll, and yet plausibly to have a volatile impact on the candidates approval rating for the better or the worse. So far, Beto has done well avoiding a strong distaste from the public. His likeability may be one of the strongest things he has going for him, as his unfavorable rating is as low as 23% compared to Cruz at 41%. However, Cruz has been in the limelight much longer. Beto proposing that he “couldn’t think of anything more American” than protesting during the national anthem may have finally rustled some Texan feathers. Nevertheless, Texans do seem already rather set on who they will vote for with still quite some time before voting day. When asked if, “you think that you might vote differently on Election Day,” only 6% said they might vote differently, and 2% said they were unsure. Judging by how Texan voters view the importance of the 2018 midterms, voter turnout is likely to be quite high. When asked if, “November’s election for Congress is very important, important, not very important, or not important at all,” a full 96% said either very important or important. 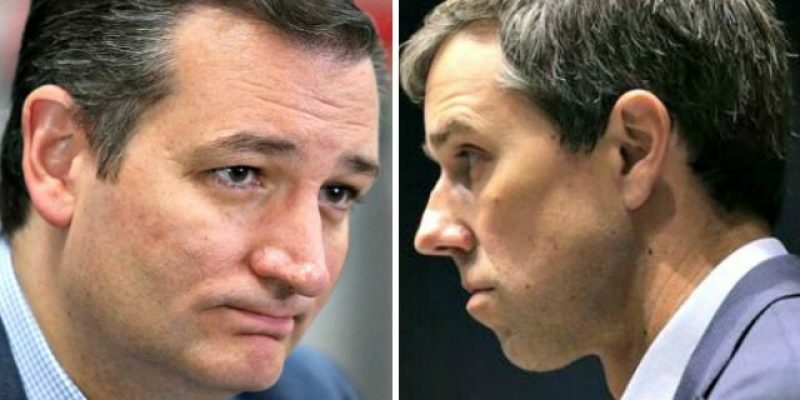 It would be a landmark upset if Beto were to steal the seat away from Cruz in a year that Texans clearly think matters. How Texans react to Beto’s defense of NFL protests may very well be what makes or breaks the candidate’s Senate hopes.